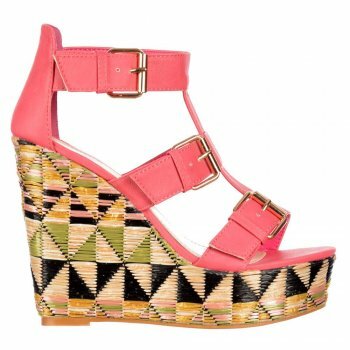 This Stunning Wedge Sandal From Dolcis Collection Features Triple Buckle Detailing With Square Buckle Fastening, Finished in Either Black or Coral Pink. 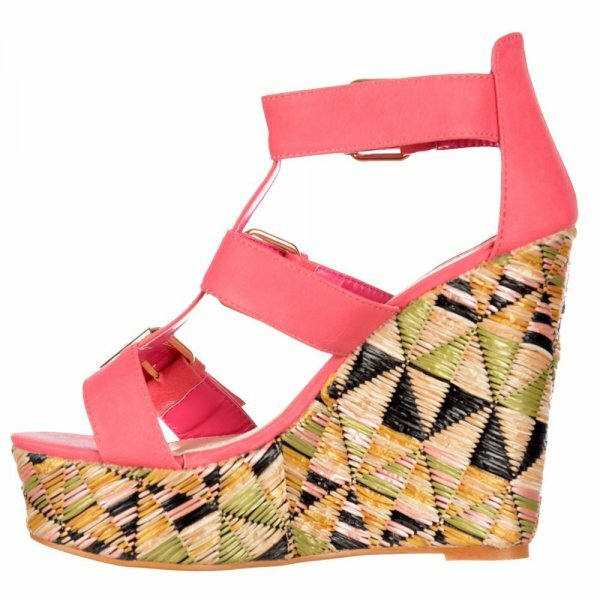 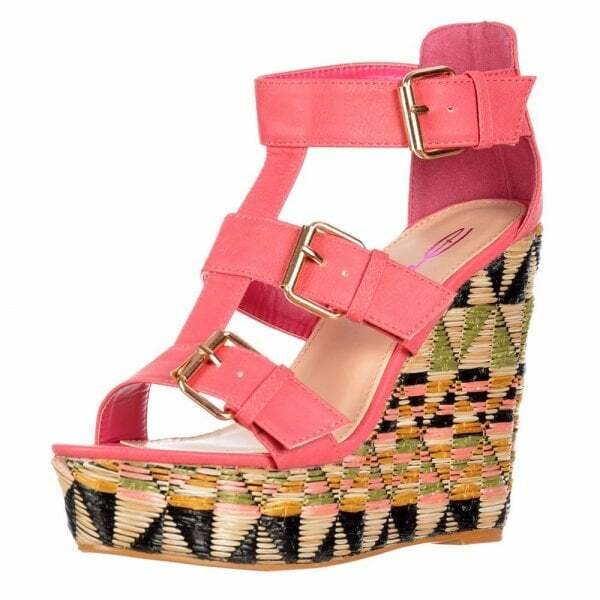 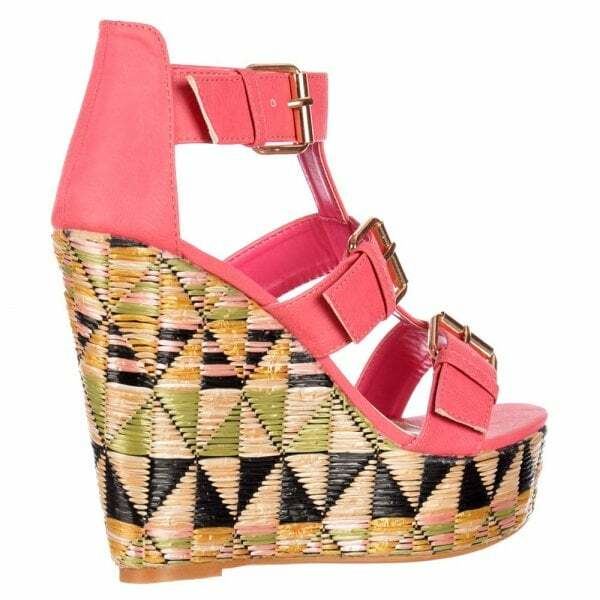 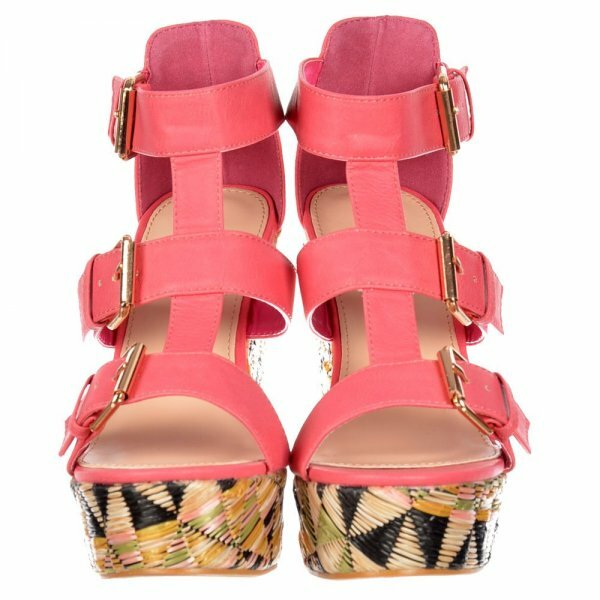 The Aztec Printed Raffia Wedge is 5 inches High and Allows Full Leg Lengthening Effect Whilst The Padded Inner Sole Allows Maximum Comfort. 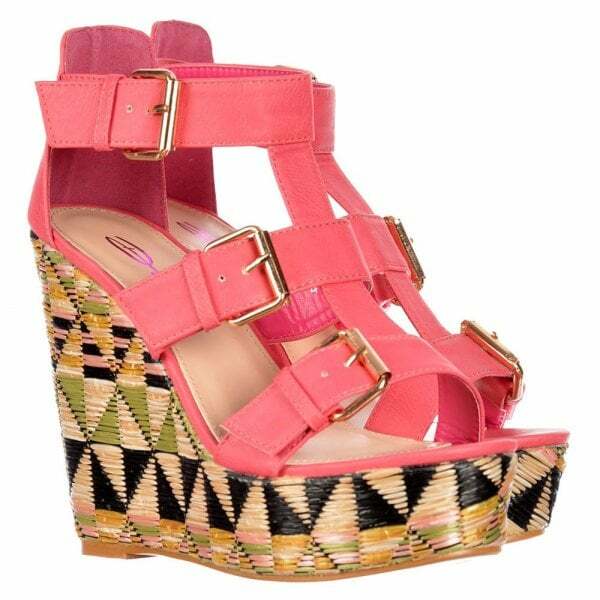 Perfect Holiday and Summer FootWear!